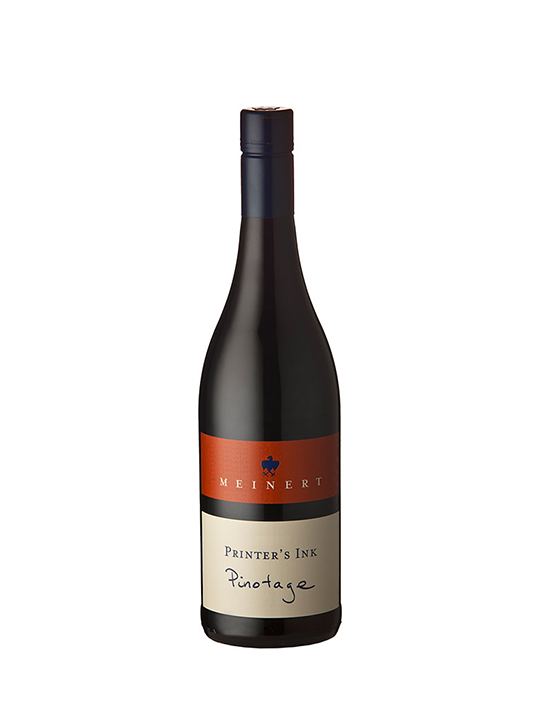 From: The Printer’s Ink Pinotage is a tribute to the Meinert family’s heritage as printers and publishers in Namibia. At Devon Crest Vineyard just outside Stellenbosch, Meinert Wines are made in a personalised range, in limited volumes. Each wine takes its journey from vine to barrel with much science, care and creativity to ensure uniqueness and individual character. Vineyards: The vineyard is untrellised, leading to a low yield of 7 tons/ha and early ripening. It was planted in 1997 and is on a high cool slope in Devon Valley, on deep rich Hutton soils. The vines received no supplementary irrigation. Mostly free run with a small amount of press wine, 8%. Winemaking: Cold maceration of 10 days at under 10ºC followed by a short hot fermentation (3 days) before pressing. About a third of the wine was underwent carbonic maceration. Bottled after 24 months in 225L 2nd 3rd and 4th fill French oak barrels. Comments: Medium structure with a rich, full-bodied yet elegant mid-palate and a clean fresh finish. Enjoy with ostrich tartare, venison kebabs on rooibos noodles and surprisingly, when slightly chilled, with sushi or seared tuna. Ageing potential: approximately 10 years. Pinotage with a dash of Merlot (14%). Mostly free run with a small amount of press wine,12%. 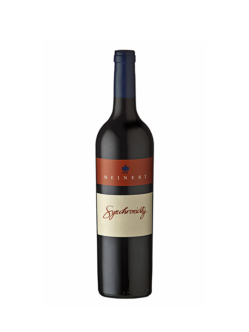 Pinotage (85%) with 15% Merlot. Mostly free run with a small amount of press wine, 11%.